So, Boris and Boredoms dosing Leary style? 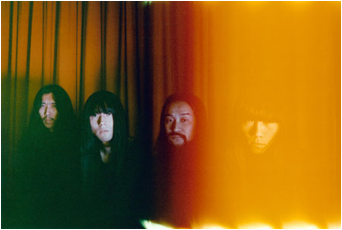 Bo Ningen's new single, "DaDaDa," is a rapid, thick mass of guitar noise and vocal melody that caught me by surprise. Colorful. Very colorful. Very loud. I think it's pretty cool so, if that means anything, please give "DaDaDa" a listen. Bo Ningen's new album is III and it will be out May 20th on Stolen Recordings. Tour dates and release info are provided by PIAS. Bo Ningen's third album III will be released by Stolen Recordings on May 20th, 2014 (May 13th in UK/ROW). It is a rich and accomplished album that has seen them evolve musically. Collaborations with Jehnny Beth of Savages and Roger Robinson of King Midas Sound feature and they've sung partly in English for the first time. The album was recorded over several months with the band spending more time on the production and development of the songs. 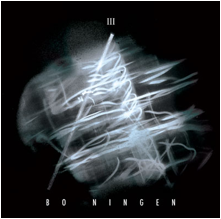 III illustrates Bo Ningen as a group with a singular vision, reaching for what they define as 'pure music', by turns esoteric and a no holds barred sensory assault. UK and US tour dates have now been confirmed – full details below. Having recently played SXSW, Bo Ningen tour the US in April, the UK in May and play Coachella festival amongst many others this year. They will also be performing an in-store at Rough Trade NY on April 27th.